CARLSBAD, Calif., June 6, 2018 /PRNewswire/ -- Callaway Golf Company (NYSE: ELY) announced today that 19-year-old Norman Xiong, one of golf's most prolific amateurs and collegiate players, has joined its staff after turning professional last week. He will play Callaway woods, irons and wedges, an Odyssey Putter, and a Callaway ball. 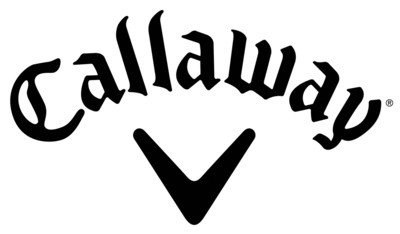 He will also wear TravisMathew apparel on and off the course, making him the first professional golfer to be signed by both Callaway and TravisMathew. "I'm ready to test myself against the best players in the world, and joining Callaway is absolutely the right choice for me as I begin my professional career," Xiong said. "I've played Callaway equipment in my biggest wins as an amateur, and I'm confident their clubs -- and especially my driver -- will help me perform to the best of my abilities. I can't wait to get started." Before turning pro, Xiong was one of the most dominant amateurs in the game. He won 6 college events this season as a Sophomore at the University of Oregon, more than any other player in the country, and received the Jack Nicklaus Award given as the Division I Player of the Year. Xiong also led the NCAA with an impressive 68.7 scoring average, was voted a 1st Team All-American, and was 3rd in the latest world golf amateur rankings. In 2017, he was named a 2nd Team All-American, 1st Team All-Pac 12, Pac-12 Freshman of the Year, and he competed for the victorious U.S Walker Cup Team, and the U.S. Palmer Cup Team. "Norman is one of the brightest young players that golf has seen in a long time," said Callaway SVP of Global Sports Marketing Tim Reed. "He's been a top player throughout his junior and amateur career, and we're looking forward to helping him succeed at the highest level." Born in Guam and raised in San Diego, Norman played his first tournament at age 5 and developed as a junior through The First Tee program, a youth organization focused on introducing the sport to young players. After being ranked as the #1 collegiate recruit in his class, he chose to attend Oregon, in part so he could play in poor weather conditions to test and improve his game. Xiong competed for Oregon in his final amateur event last week at the NCAA Championships. "We're excited to work with an athlete of Norman's caliber to showcase how TravisMathew apparel is the perfect balance between performance and style," said TravisMathew CEO Travis Brasher. "We believe his personality and style on and off the golf course are a tremendous fit for us and we welcome Norman to the TravisMathew family." Xiong joins an impressive Callaway roster that features major champions like Phil Mickelson, Henrik Stenson, 2017 Masters Champion Sergio Garcia and 2018 Ryder Cup Captain Jim Furyk. He also joins prominent Tour Pros like Alex Noren and Marc Leishman, and a stable of exciting young Tour professionals, including Xander Schauffele, Daniel Berger, 2018 AT&T Byron Nelson winner Aaron Wise, Adam Hadwin, Sam Burns, Wesley Bryan, Maverick McNealy, Ollie Schniederjans, Branden Grace, Thomas Pieters, Michelle Wie, Patrick Rodgers, Curtis Luck, Lee McCoy, and Emiliano Grillo.